Have any of you ever seen Just Married with Ashton Kutcher and Brittany Murphy? First, it's hilarious. And, second, there's a scene where they're on their honeymoon in Europe and Ashton Kutcher's character is waxing poetic about how he wishes they "had the Dodge about now" (he's not really happy with the "clown car" that is the European compact). So his wife, Brittany Murphy's character, makes fun of him and, in a very manly, country voice says "Uh-merica! Man, I wish we had the Dodge 'bout now!" It makes me chuckle every time. So all day yesterday I walked around intermittently saying "Uh-merica!" in a ridiculous manly voice. It was kind of creepy, but kind of funny, too. So...that's where my post title comes from. 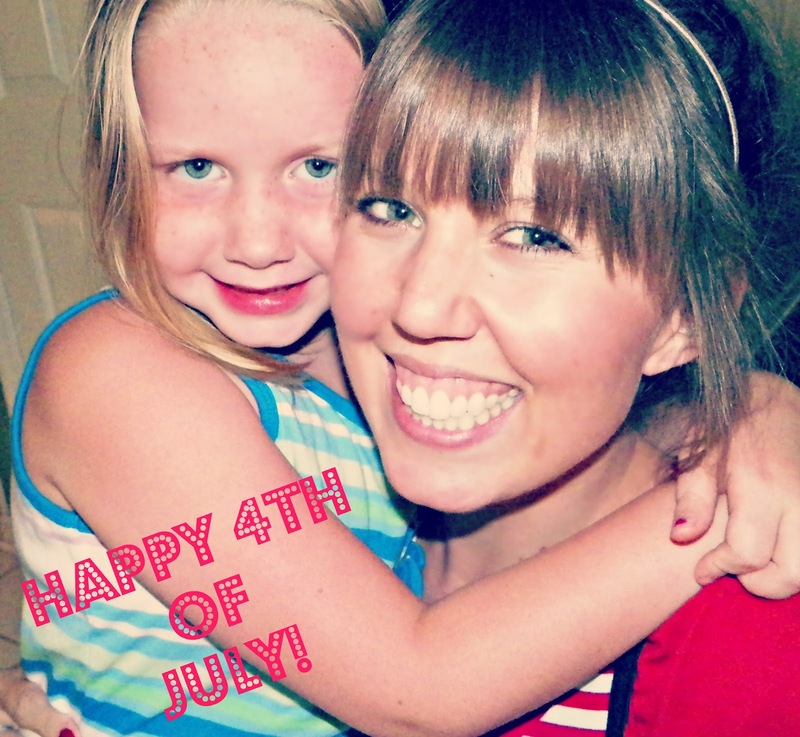 Anyway, here are the pictures from our July 4th celebration! Hope yours was lovely and patriotic! Despite my silliness, I am so proud to be from this country, flaws and all. I am blessed to call this place home. P.S. We like to eat.